這是一個客觀且正確的見解來源，美國兒科學會（the American Academy of Pediatrics，AAP）在西元2007年10月29日的專文研討『自閉症兒童的管理』 ( Management of Children With Autism Spectrum Disorders ) ，第1165頁的結論指出「RDI的假設基礎」，是集中在引發互動的遊戲上為其主要的目標，冀許自閉兒能在社交活動的關係上，能瞭解積極的人際交往價值，並能驅使自閉兒變得更主動地學習維持社交關係；對極高度功能且沒有行為問題的亞斯柏格孩子而言，一些父母肯定這種遊戲模式的社交教導，可是針對大部分有行為和雙向溝通介入需要的自閉兒而言，RDI的療效証據是，沒有長期且具體的科學實証，也沒有大規模樣本採集下，客觀和嚴謹的追蹤觀察；美國兒科學會的結論是，"RDI 的証據果效，在此時是道聽塗說的軼事，缺乏科學的調查根據"
" The effectiveness of ABA-based intervention in ASDs has been well documented through 5 decades of research by using single-subject methodology21,25,27,28 and in controlled studies of comprehensive early intensive behavioral intervention programs in university and community settings.29–40 Children who receive early intensive behavioral treatment have been shown to make substantial, sustained gains in IQ, language, academic performance, and adaptive behavior as well as some measures of social behavior, and their outcomes have been significantly better than those of children in control groups.31–40 "
近期 (2003年)最有公信力嚴格檢視各種自閉症療法的研究，【 Children with autism deserve evidence-based intervention, The evidence for behavioural therapy, MJA 2003; 178 (9): 424-425】研究者珍妮弗, 庫珀，北阿德萊德大學附設內分泌和糖尿病中心、 婦女和兒童醫院的首席研究負責人（Jennifer J Couper Head, Endocrinology and Diabetes Centre, Women's and Children's Hospital, North Adelaide, and University of Adelaide, SA）；和阿曼達. 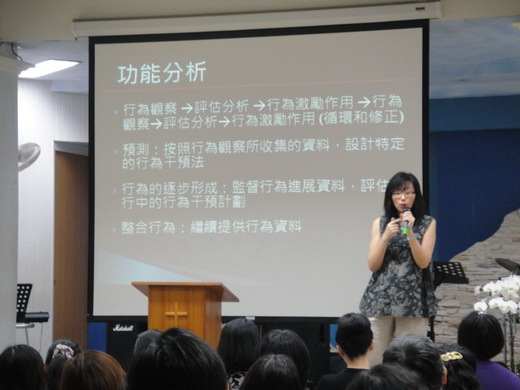 桑普森，超音波檢視權威（Amanda J Sampson Ultrasonologist Royal Women’s Hospital, Carlton），共同審查了可觀的 ABA行為科學介入的研究資料，在西元2003年的總結報告中記述如下：「雖然 RDI的療法可能是無害的，但它卻浪費父母的錢和孩子寶貴的治療時間。此外，拖延了實施有效的治療結果…」 " While ineffective therapies may be harmless, they waste parents' money and the child's valuable therapy time. Furthermore, the delay in implementing effective treatment may compromise the child's outcome. " 自閉症兒童的腦 -Use it or Lose it!